HelloGiggles (HG): Can you elaborate on the mission behind selling menstrual products to businesses? I was frustrated that an anatomical male has everything he needs in the bathroom for natural bodily functions, but a menstruator does not. I was frustrated that no-one talks about menstruation. I set out on a mission to change the conversation and to ensure everyone has access to menstrual products. 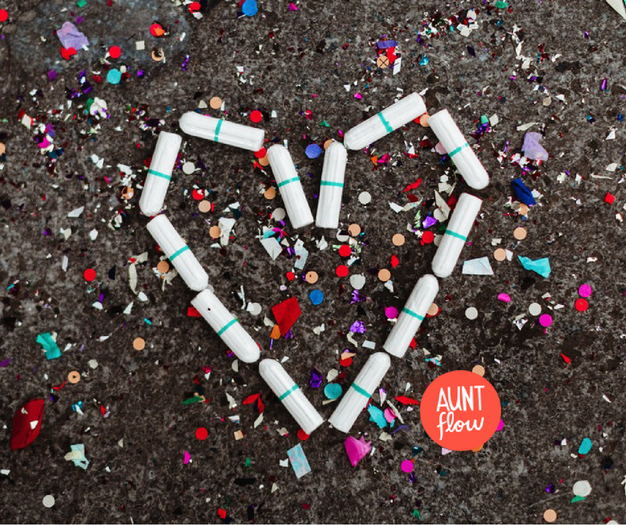 Aunt Flow sells our 100% organic cotton menstrual products to individual consumers with a buy-one, give-one model as well as to businesses, so they can offer products in their bathrooms for free. HG: What has the response from businesses been like? CC: Overall, businesses GET IT. 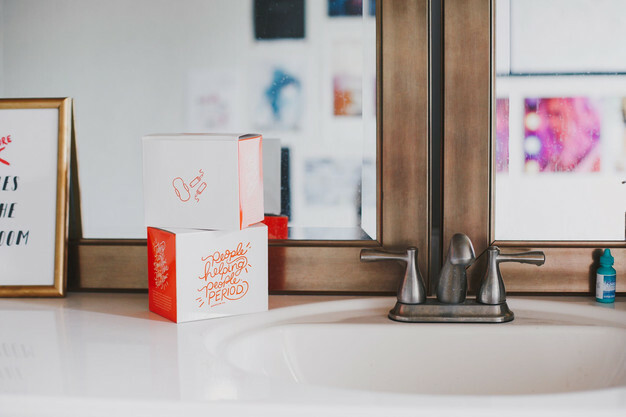 The majority of business owners and HR professionals have never considered offering free tampons for employees in their bathrooms. Let’s face it — menstruation is not a savvy topic like the next app that helps connect employees. However, we are able to explain to businesses that by offering free Aunt Flow menstrual products in their bathrooms, they can reduce lost work hours from people frantically running to the store, and it improves the opportunity for businesses to rate higher on rankings that consider best places to work for women. HG: Why is it important to Aunt Flow to commit to ensuring access to menstrual products for everyone? CC: Menstrual products are not covered by WIC or food stamps, making the nearly $10/month cost unbearable for many people living at or below the poverty line. When deciding where to spend that $10, food becomes the priority. As a result, many people are forced to use dirty socks, rags, and even plastic bags when on their period. Aunt Flow believes people should have access to the necessary tampons and pads no matter their economic status. As we’ve grown and listened to those around us, we realized we needed to expand our idea of inclusivity to include gender. Those who identify as cis women are not the only people who menstruate. Trans men and those individuals who do not identify as either binary gender also menstruate. To stay true to our mission — to ensure EVERYONE has access to menstrual products — we could not exclude this population.